Timo Lenzen is a graphic designer from Germany, and one can immediately see his European design lineage when having a look at his posters. Stark, minimalist and mostly black and white with no extraneous details – this is true European design. We love the flatness and starkness. Great work! To see more of Lenzen, check out his website here. 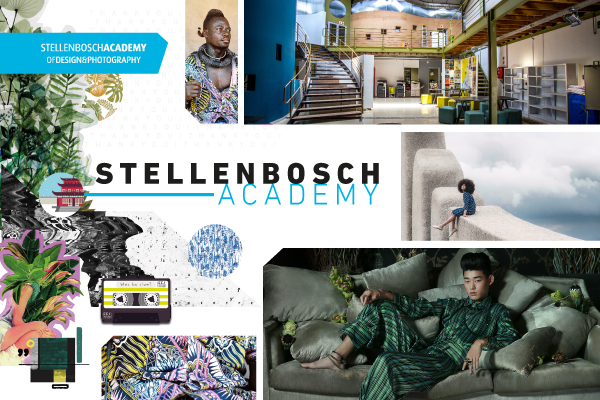 This entry was posted in Design and tagged Design, posters, timo lenzen on November 28, 2014 by stellenboschacademy. If you’ve got an eye for photography or are looking to upskill and turn your hobby into a way to make money – we’ve got the perfect opportunity. 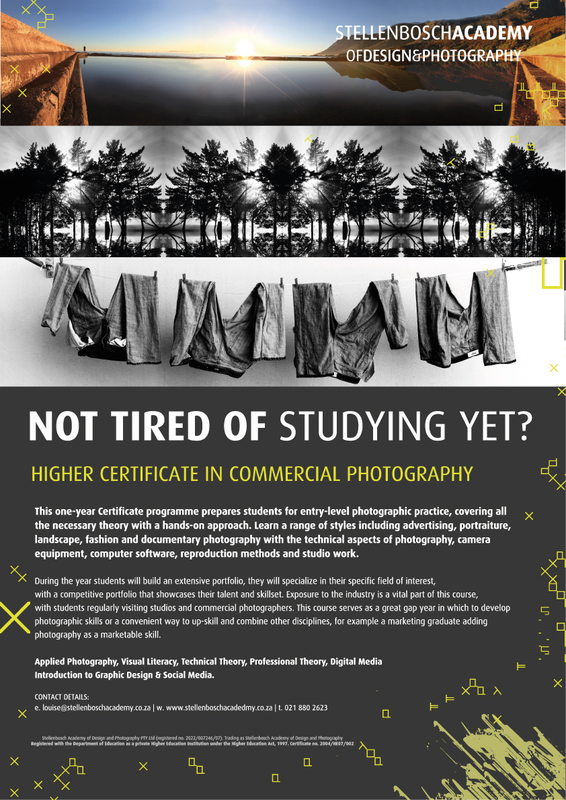 Our Higher Certificate in Commercial Photography is a one year course that helps you build an extensive portfolio to help you get out there and start making a name for yourself. Applications close on 30 January 2015, so don’t waste time! If you’re interested, send a mail to Louise and get applying – we hope to see you soon! This entry was posted in Academy Work and tagged Certificate Course, photography on November 26, 2014 by stellenboschacademy. So we’re a little bit late on this one – Halloween has been and gone – but this ad from Ford in America is so much fun. What a great piece of content marketing. Shareable, fun and engaging. This entry was posted in Inspiration and tagged Carwash, Content Marketing, Ford on November 26, 2014 by stellenboschacademy. Folasade Adeoso is a Nigerian artist who specialises in photo manipulation and collage. We love the juxtaposition of African images with bold florals and stark lines. To see more of Adeoso’s work, have a look at her website right over here. This entry was posted in Photography and tagged Folasade Adeoso, photo manipulation, photography on November 24, 2014 by stellenboschacademy. Jonathan Crow is a writer and illustrator who lives in LA. When we came across this project: Veeptopus, we had to share it. The idea is simple – Imagine if every US vice president had an octopus on their head. So silly, but so much fun! To see more of Crow’s work – check out his website over here. This entry was posted in Illustration and tagged Illustration, Octopus, Vice Presidents on November 21, 2014 by stellenboschacademy. Massimo Gammacurta is a photographer and conceptual artist who works out of New York. Here, we feature his typeface ‘Eat Me’ – made entirely from scratch as lollipops. Is saying this seems like a sweet idea too cheesy? To see more of Gammacurta’s work, check out his website here. This entry was posted in Design and tagged custom typeface, lollipop, Typography on November 19, 2014 by stellenboschacademy. Studio Muti is a Cape Town based illustration studio who do some amazing work. Here, we see a poster that details the lighthouses of Southern Africa, along with a custom typeface and a smart colour palette. But Studio Muti don’t just do flat design and illustration, they also do product design, typography and icons – amongst others! To learn more about them and soak in some inspiration, check out their website over here. This entry was posted in Illustration and tagged Illustration, Lighthouse, Studio Muti on November 17, 2014 by stellenboschacademy.